Early next month I'll have a story in the San Diego Union-Tribune on a cookbook, Jewels From My Grove, by Fallbrook grower Helene Beck. Beck, whom I visited with a couple of weeks ago, has more than 3,000 trees on her vast and magical property. Among the organic crops she grows are persimmons, blood oranges, kumquats, kaffir limes, satsumas, figs, pomegranates. In fact, the book focuses on her favorite fruits: persimmons, kumquats, and blood oranges. As I was leaving, Beck not only loaded me down with a sampling of dishes she made for the photo shoot and a bag of sweet satsumas, she took me into the garage and gave me jars of some of the La Vigne line of products she has made for about 20 years from the bounty of those trees--Persimmon Chipotle Sauce, Kumquat Conserve, Kumquat Ginger Syrup, and Blood Orange Syrup. I took the products home and started sampling them, starting with the Persimmon Chipotle Sauce. Beck happened to also gift me with four duck eggs. 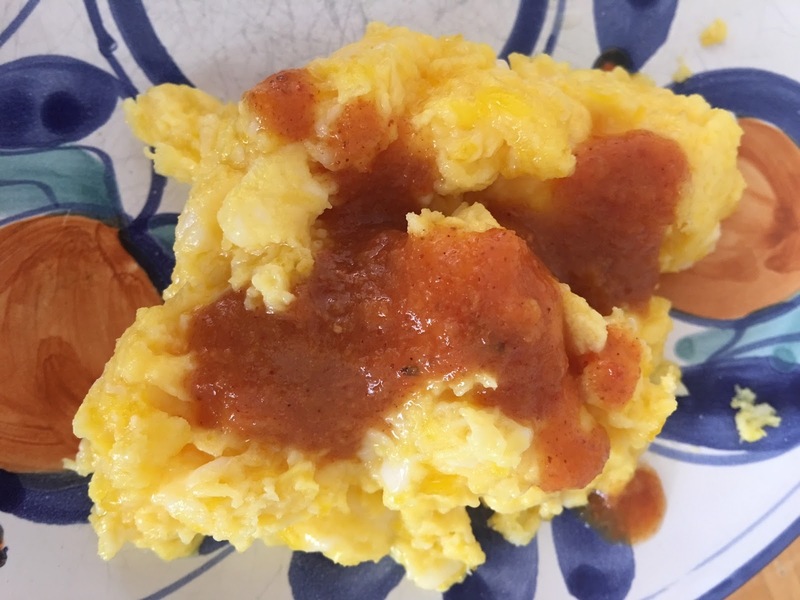 My 19-year-old niece, Samantha, was visiting from North Carolina and she'd never eaten duck eggs so I scrambled up a couple and we topped them with the sauce. Made with organic Fuyu persimmons, orange juice, onions, cider vinegar, ginger, sugar, limes garlic, sea salt, and dehydrated chipotle, the sauce has a complex sweet heat to it. It was terrific with the eggs, and later, with tortilla chips. I think it would also be wonderful served with poultry or pork. 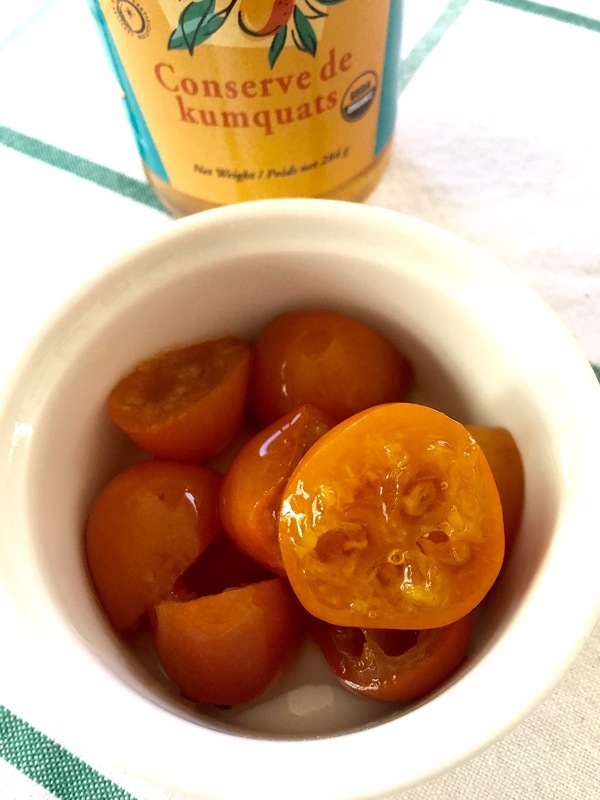 The Kumquat Conserve is a clever way to use the sour fruit. It sweetens them up a bit and makes them ready to use for baking or cooking. You can also add it--using the fruit or just the sauce--to a blender with oil, vinegar and other ingredients to make a marinade or vinaigrette. Chop up the fruit and add them to cookies. Or, as Beck does, to noodle pudding and the kumquat ginger rugelach above. The two syrups are delightful, but the texture is less syrupy than liquid. I poured some of the Blood Orange Syrup, which is seasoned with cardamom and almond, over a scoop of vanilla ice cream. Loved it. The citrusy orange flavor comes through, but there's a lovely hint of marzipan with the almond and sweet, almost citrus-like tones of the cardamom. 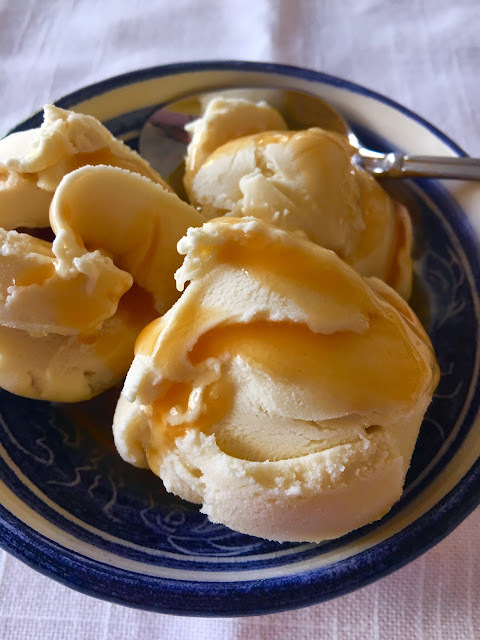 Both this and the Kumquat Ginger Syrup are perfect for sweet applications--like an ice cream topping--but add it to oatmeal or pancakes and waffles. Or, use it as a base for a salad dressing or savory sauce for meats or roasted vegetables. These and many more items, like lemongrass powder, organic persimmon fruit leather, and kumquat ginger scones, she sells online, as well as at Specialty Produce, Jimbos, and Nature Market.